Taken in late 1951, this is one of my father's earliest pictures of a Britannia. 70017 Arrow approaches Reading General at the head of a down express. 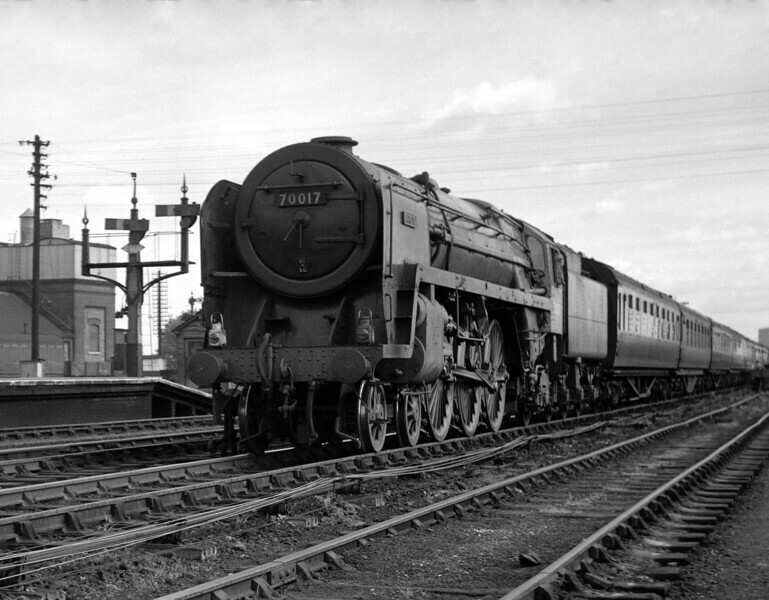 The locomotive only emerged new from Crewe works in June 1951.